To Michael and the Thirty Monks. Joining together the chorus of the monastic-martyrs. Became red in the contest by the sword. 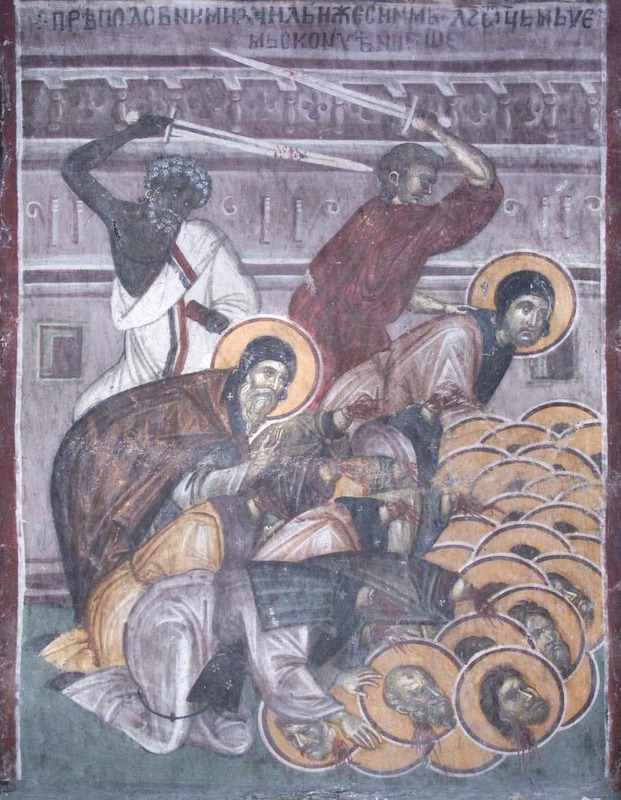 These Saints lived during the reign of Constantine and Irene (780-797), and dwelt in the Zobe Monastery, which was near Sebastopolis. 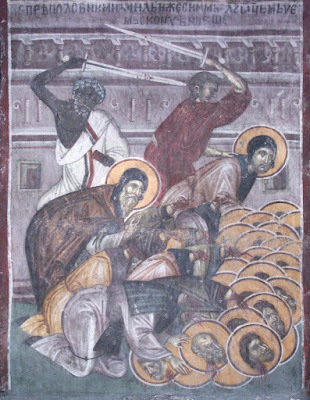 Because the amir of the Hagarenes, who was called Aleim, went out to battle in that land, he apprehended these holy Fathers, and urged them to deny their faith in Christ. * According to eye-witness testimony and reports of Russian travelers to Constantinople, a headless body of a Saint Michael was in the Pantocrator Monastery. Though he is not identified as Saint Michael the Abbot of Zobe Monastery, he seems to be the only Saint Michael with the appellations they ascribe to him - that he was a monk martyred by the Saracens. 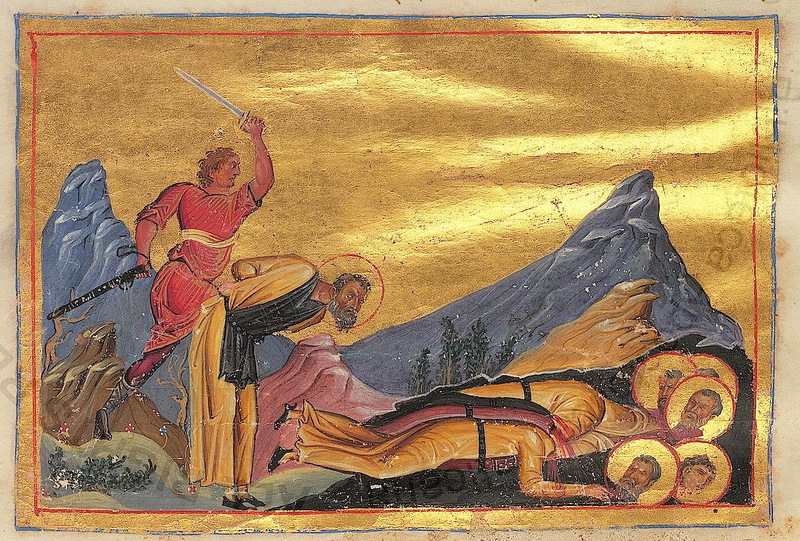 This with the fact that Saint Michael of Zobe Monastery was beheaded makes it most likely this was the headless Saint Michael they are talking about, though there are no historical records of his relic coming to Constantinople.